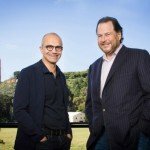 SAN FRANCISCO — Salesforce.com (NYSE: CRM), the enterprise cloud computing company, today launched Database.com (http://www.database.com/), the world’s first enterprise database built for the cloud. Database.com is built from the ground up to power new enterprise applications that are cloud, mobile and social. Database.com is open for use with any language, platform and device. It enables developers to focus on building great applications instead of tuning, maintaining and scaling databases. Database.com leverages the proven infrastructure and technology trusted by more than 87,000 salesforce.com customers over 11 years – now designed and made available as a standalone cloud database. "We see cloud databases as a massive market opportunity that will power the shift to enterprise applications that are natively cloud, mobile and social," said Marc Benioff, chairman and CEO, salesforce.com. "For the first time, we are making Database.com, the database that is proven and trusted by our 87,000 customers, available as an open, stand-alone service to accelerate the creation of these new apps." iPhone and iPad app developers can write native iOS apps. 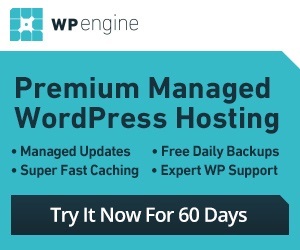 These apps run natively on Apple devices and connect to Database.com over the Internet. Android developers can write native Android apps using Java. These apps run natively on Android devices and connect to Database.com. Web developers can build apps on Amazon EC2 using PHP and connect to Database.com. Java developers can write an application that runs on VMforce and connects to Database.com. Database.com is proven and secure. More than 87,000 customers have been using it for more than 11 years to store their most sensitive data. Database.com benefits from the security of salesforce.com’s global service delivery infrastructure, offering SSL, single-sign on, identity confirmation and anti-phishing tools. It also provides secure access, including user and role-based security and sharing rules and row-level data security. Database.com has also received some of the most stringent security certifications in the industry, including ISO 27001, SAS 70 Type II and SysTrust. Database.com powers salesforce.com’s service, and is one of the world’s largest enterprise databases, containing more than 20 billion records and delivering more than 25 billion transactions per fiscal quarter at an average response time of less than 300 milliseconds. "There is a shift going on in the $21.2B database systems marketplace,"(1) said Donald Feinberg, vice president and distinguished analyst, Gartner. "We’re seeing a rise in popularity of cloud enabled database management systems (DBMSs) that remove the complexity of software and hardware, and deliver automatic scalability, tuning and back-up. To truly see adoption in the enterprise, however, cloud enabled DBMSs need to support both the speed, ease and elasticity of the cloud as well as the relational, security and transactional features required by enterprises." "The platform shift to cloud, mobile and social applications will continue to accelerate," said Sohaib Abbasi, chairman and chief executive officer, Informatica. "These modern applications require the next generation of cloud databases and cloud data integration. To facilitate this shift, Informatica is announcing the expansion of Informatica Cloud to integrate data from both traditional on-premise databases and the new, innovative cloud-based Database.com service." Gartner, Inc., Market Share: Database Management System Software, Worldwide, 2009, Colleen Graham et al, April 28, 2010.